This assortment is sold by the piece. The price shown is per piece. 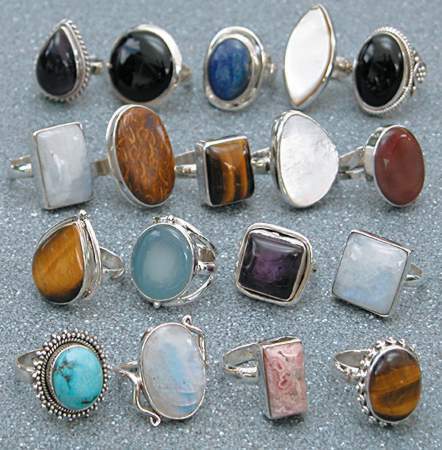 The photo shows some of the hundreds of designs in this assortment of wholesale silver rings. Rings come in assorted shapes, stones and styles. This wholesales silver ring assortment is sold by the piece: order the number of pieces you want. Average weight is about 12 grams per wholesale silver ring. Made in India, sterling silver.